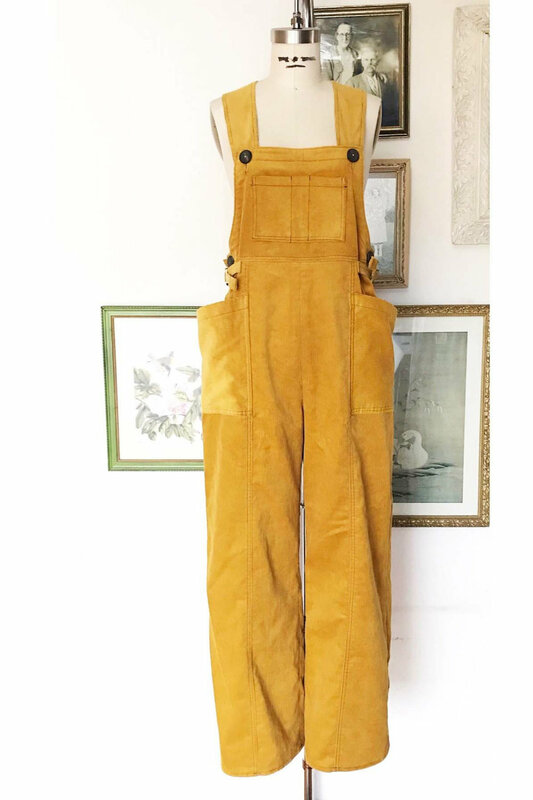 Ophelia Overalls from Decades of Style are the perfect combo with their relaxed fit (5in of ease at the hip) and makes them so comfy. The built-in side belts has an adjustable fit at the waist. The large pocket on the pants wraps to the back seam and is cut on the cross-grain. Choose to fasten with buttons or snaps. Suggested fabrics include stable bottom-weight woven fabrics such as ilght to midweight denim, twill, light weight canvas, poplin, gabardine, corduroy and there are 11 pattern sizes from 32in - 52in bust.